Pro-Kurdish Peoples’ Democratic Party (HDP) deputy Hüda Kaya claimed in a parliamentary commission that an imam in İstanbul called on people to take up arms against the HDP and also approved the killing of Kurds, calling them infidels. Speaking at the Constitution Commission, Kaya claimed that the imam of Ümraniye Hakkı Ekşi Mosque urged people during the Friday prayer to take up arms. The imam told his congregation that “I got an automatic weapon for myself. 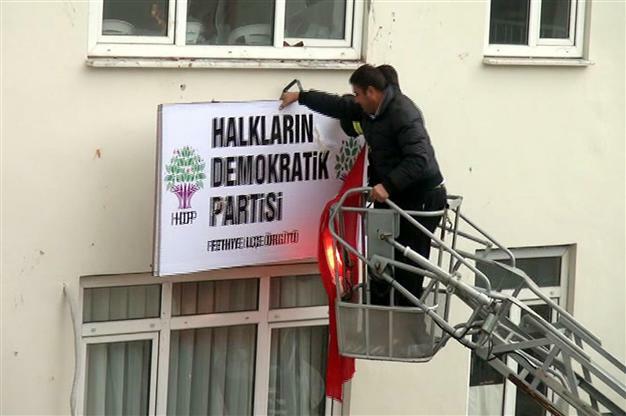 You go ahead and buy one, too” and called the supporters of the HDP infidels. While an opposition deputy, Ceyhun İrgil from the Republican People’s Party (CHP), said that such things are likely in Anatolia, a deputy from the ruling Justice and Development Party (AKP), Mustafa Elitaş, said that it is not a confirmed remark and only a claim. Elitaş said that it is unacceptable for any imam to approve the killings of any human being, but added that he might have targeted the terrorist Kurdistan Workers’ Party (PKK). Kaya said she brought the example to Parliament’s agenda to highlight the climate under which Parliament has been trying to draft a new constitution. She also added that many people in the mosque for Friday prayer witnessed the remarks of the imam targeting Kurds. This article originally appeared in Turkish Minute on Dec. 28.